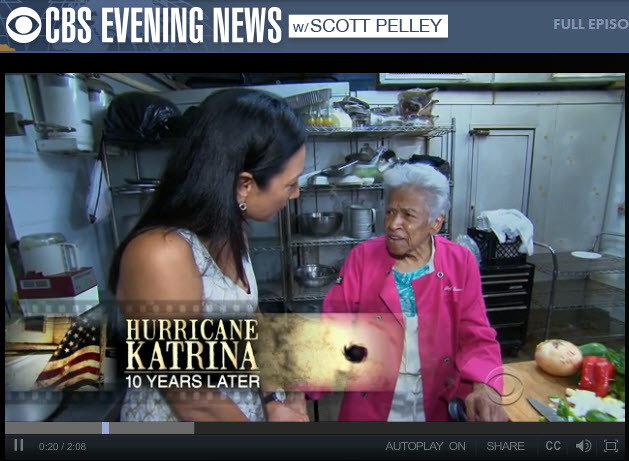 This week, Leah Chase is featured on many television networks as part of the “Ten Years After Katrina” Coverage. Please take a look and experience the greatness of this phenomenal woman who has touched not only me but the minds and hearts of people around the globe. In my last blog I wrote about the wonderful reunion I recently had with Leah Chase at her restaurant Dooky Chase in New Orleans. I presented her with the book “The Secret Powers Of Colorful Foods,” written by my me and co-author, Charlotte Lyons, former food editor of EBONY magazine who is also a friend of Leah’s. When she saw the book was about colors of food she expressed the same wonderment for new things as she did some twenty odd years ago. I met Leah in 1992 when she became a spokesperson for a Lawry’s Seasoned Salt print and radio campaign that I was writing. At that time, I interviewed Leah at Dooky Chase in New Orleans and we sat on the Victorian velvet couch near the piano that Nat King Cole and other greats played in her parlor. We shared personal stories and she told me how the use of different herbs and spices brings her cuisine to life. At first she was reluctant to use the commercial Lawry’s spices. When she did, she said, “You’re not too old to learn, girl. You’re not too old to learn.” That became the end line in the print ad and radio spot. They say when you meet an angel you are overcome with joy and different shades of emotion. That’s what happened to me when I was in Leah’s presence. Beyond my work assignment, I connected with Leah in a spiritual way that has touched my heart ever since. Leah Chase is a nationally prominent chef, author, media personality and honored community leader. Dooky Chase restaurant, now rebuilt after Katrina is an historic landmark. It is still the place where presidents, musicians and artists gather. Leah, is known as “the queen of Creole cuisine.” To me she is so much more. Her sharp mind, loving generosity and relentless energy to make this world a better place still takes my breath away. How positive are your feelings? You may be smiling on the outside, but deep down hurts, resentments, fears and feelings of not being enough may be hiding. When we don’t acknowledge them and use tools to make them more positive, they express themselves as physical illness in the body. These days, we are so addicted to computers and cell phones and television that we don’t have the space to truly get in touch with our innermost thoughts and feelings. Online, we share with friends and family what we are doing, where we have been, how our job is going. That is in cyberspace. But what about our inner space? When we are not mindful or fully aware of our feelings, we override them by going through the motions of every day life. Often we swallow our feelings with generous helpings of food. We eat comfort foods to suppress feelings of sadness or insecurity. Or eat mindlessly when we feel stuck in life or feel very small. Based on ancient Hindu belief, the human body has chakras or energy currents running along the spine whose circular spinning frequencies emit a different color for each of our emotions. Colors of emotions react positively to similar colors of food. 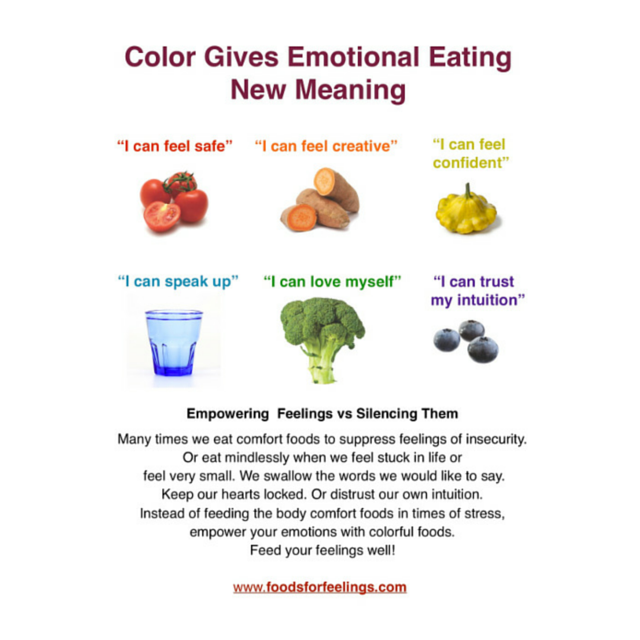 And food colors can boost emotional energy. Let’s say your feelings of confidence are low. Yellow is the color of the food to eat to raise the energetic frequency of personal power. Or, maybe you are in a creative slump. You might like to eat some orange yams or orange foods that correspond to creativity and going with the flow in life. Yesterday, a reader shared that she had cravings for broccoli and spinach. Of course, on a physical level, she may have a deficiency in vitamin C or potassium that the body needs. But metaphysically and emotionally, the color green relates to nurturing, kindness, forgiveness and opening up the heart to giving and receiving love. I asked her to write down her feelings as she ate the green foods. What comes up emotionally? Could it be an ancient hurt like abandonment that she can’t forgive? That’s just one example. Or maybe she has cut off the ability to love. What feelings does she have about that. It will be interesting to see what she comes up with. The Secret Powers Of Colorful Foods give us the tools to strengthen positive feelings with food color matching charts, meditations, affirmations and food fun facts. Plus, Charlotte Lyons wrote simple recipes for each color and how to do purees – a simple way to get different colors going for you. The Secret Powers Of Colorful Foods helps you to be mindful of what you are feeling and gives you the tools to empower feelings that are weak. Once you use this food color matching technique for your feelings and emotions you will see and feel how empowering it can be. Next time you go to the supermarket go to the produce section. Check in with your feelings. Head to the color you need to work on. And you’re off to a good start! You Are Looking At Your Self-Esteem. 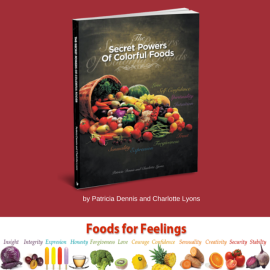 According to our book, “The Secret Powers of Colorful Foods,” different colors of foods support different attitudes, feelings and emotional energy. Different emotions generate different colors because their energy vibrates to different frequencies. When you understand how emotional energy centers of the body correspond to colors of foods, you can go to the market and instead of selecting foods for taste alone, you can also select them to support your own emotional needs. And that’s quite empowering! Found in your solar plexus, just below the breastbone and above your navel – to find it easily, put your hands around your waist – is yellow chakra energy. This is where our conscious thoughts and opinions are formed and controlled. It is also where our gut instincts are. So often we neglect them when they are telling us important information. To support those gut feelings, yellow foods are a valuable tool. Yellow foods can also combat the blues which very often stem from fear and a feeling a lack of confidence. Yellow is the color of the sun and represents your personal power, self-esteem, metabolism and digestion. It is the color that supports thinking, your sense of who you are, the power within you, the power you have over others and the power others have over you. It also relates to cheerfulness and enjoyment of new challenges. When we are exposed to sunshine, the day is clear and bright. So too, our Solar Plexus Chakra (yellow energy center) shines a light in which we see ourselves and appreciation of our self-worth. Next time you are feeling low, lack self-confidence or feel mentally fuzzy, head to the yellow foods in your market and select a fruits, vegetables, herbs or spices that most appeal to you. You will find Charlotte Lyons’ delicious yellow recipes in the Yellow chapter of our book, “The Secret Powers Of Colorful Foods.” My personal favorite is the Aztec Corn Soup on page 57. You can get a taste of Charlotte’s simple Lemon Vinaigrette recipe here for starters. 1. 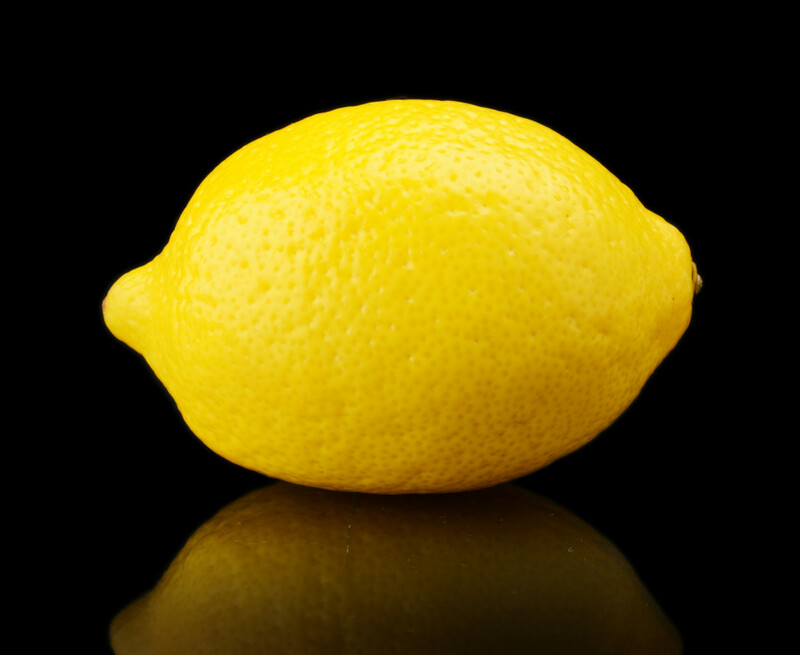 Combine the vinegar, lemon juice, mustard, lemon zest, honey, salt, pepper, and garlic powder in medium, whisking to blend. 2. Gradually add the olive oil in thin stream, whisking constantly until well blended and smooth. Adjust seasoning if needed. When I read that, it made my heart sing, because our book, “The Secret Power Of Colorful Foods: Enhancing trust, sensuality, self-confidence, love, forgiveness, intuition and spirituality” answers that question with information one wouldn’t normally expect. While doctors are finding in some cases fish oils can support mental health from a biological standpoint, our book approaches emotional well-being from a more metaphysical standpoint. Various energy currents along the spine emit a different color for each emotion. Matching the color of an emotion to food of a similar color can help energize and balance our inner lives. This is known as the food mood connection. It’s quite empowering to shop for food according to the needs of our mood. You see the spectrum of colors as an emotional and spiritual support system – you can look at red beets and know they will help you feel safe, secure and stable. Or if you seek forgiveness for something, you might head towards the green beans. Once you see colorful foods as tools for mental health, you won’t see fruit and vegetables the same way again. February, the month of love, is a favorite of Charlotte Lyons and mine. The word love means many things. In addition to feelings of infatuation, it encompasses kindness, empathy, compassion and forgiveness to ourselves and others. 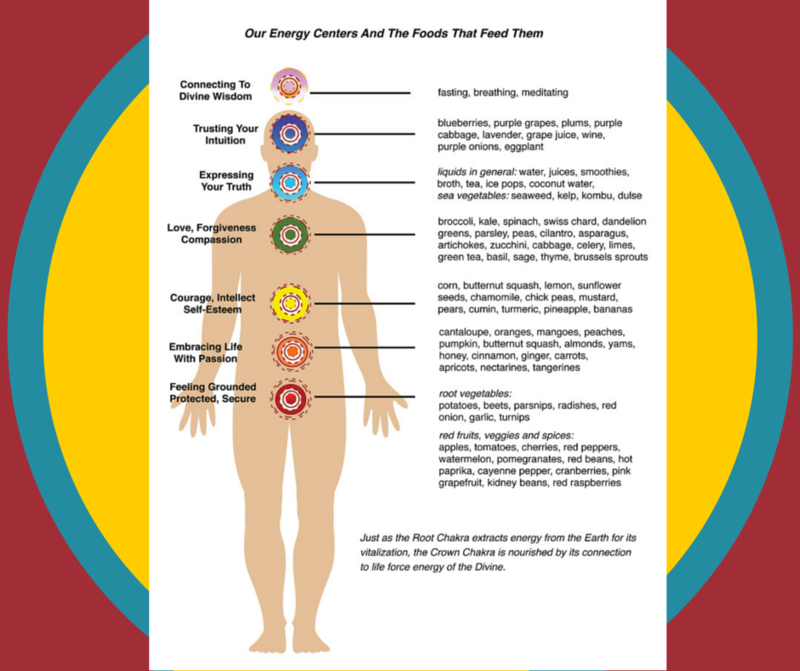 According to our book, “The Secret Powers of Colorful Foods,” feelings of the heart radiate green energy. You can support that energy with green foods and by acknowledging the value of others. 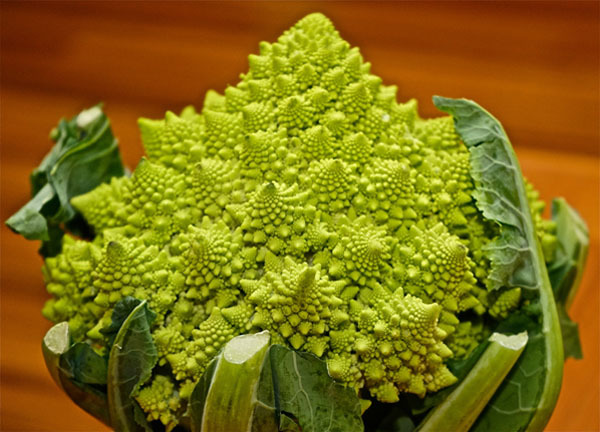 “The Secret Powers of Colorful Foods” supplies you with a list of green foods, green food recipes and green energy balancing tips including hand clapping. The phrase, “Practice random kindness and senseless acts of beauty,” coined by writer Anne Herbert, is an example of having heart for others and radiating green energy. A smile. A compliment. Holding the door open for someone. These are simple examples of honoring the value of others. Charlotte and I chose this beautiful green cauliflower as an example of supporting love towards ourselves and others. Green love energy radiates out from the tips of each floret just as unconditional love radiates out from the heart chakra in each of us. Cut the large cauliflower into smaller pieces. Preheat the oven to 400º. On a baking sheet drizzle cauliflower florets with olive oil. Season with salt and pepper. Roast for about 30 minutes. Let cool. Each one of us can make a difference. Imagine what the world would be like if each one of us did.